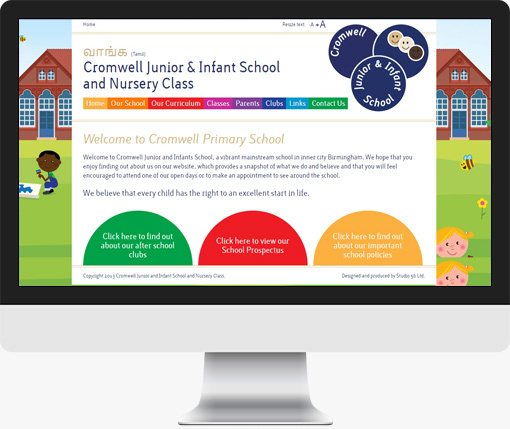 Cromwell Junior and Infants School, a vibrant mainstream school in inner city Birmingham. The new website was designed for all, to be used by teachers, pupils and parents, displaying the various classes and curriculum. A brand new website aimed at teachers, pupils and parents.